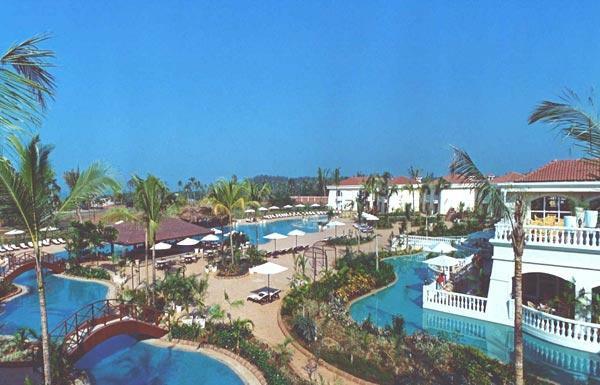 The Zuri White Sands, Goa Resort & Casino is located in the Varca Beach of the Salcete area of Goa in India. This hotel offers 154 well appointed and well equipped guest rooms and 4 luxurious suites. 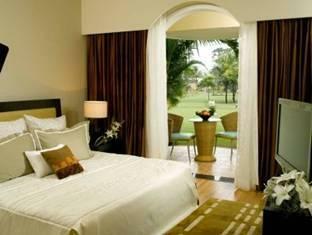 Each and every room is furnished with elegance , with private balconies with beautiful views of the landscaped garden. The suites are spacious, with a dining and a living room and round the clock room service. The room amenities are 32"flat screen television with satellite channels, Electronic safe deposit lockers, Well stocked mini Bar, wifi connectivity and 24 hour room service. The rooms are classified into The Superior room, The premium room, Deluxe room, executive suites, suite. 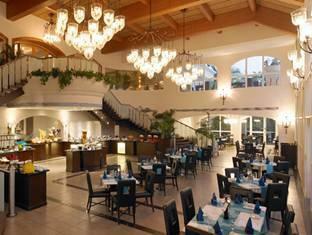 There are 6 different restaurants and bars and offers plenty in terms of dining at the Zuri White sands. You may enjoy a meal either indoors with air conditioned comfort or outdoors at the terrace. Sake - is a pan asian restaurant and lounge, overlooking the swimming pool with a live teppanyaki . Here the food is prepared right in front of your eyes. Waterfalls Cafe is a multi cuisine restaurant as well as a 24 hour cafe shop. You can have exhaustive breakfast, lunch and dinner buffet spread. Tangerine is a prefect place to relax , a lobby bar and a terrace lounge you would love. You can choose from the widespread cocktails and beverages and watch the live entertainment as well. Fins and Rambooze is the beach restaurant and bar operational only during the seasons that is from November to April. this is a Goan seafood restaurant and a beach bar. You can have traditional Goan food and a best place to spend the evening with champagne and grilled lobsters. Blue lagoon is a pool bar open from 10 am till late in the night. The bar offers variety of cocktails , Italia banquet halls with state of the art facilities and two meeting rooms with private work stations, complimentary n pastas, pizzas and the catch of the day delicacy featuring fresh fish caught in the day. Maya Spa at this hotel is a place where you can relax, rejuvenate and refresh and experience divine healing and beauty massages. Maya Spa is the signature of the hotel's premium spas which has been designed just to help you reenergize yourself. Here the spa caters to Atrails and children's park and play area. Ayurveda and western style massages as well and will jkust be the place for you to unwind and relax. This hotel and casino, with a flexible meeting venues for up to 450 guests makes an ideal choice for a gathering. 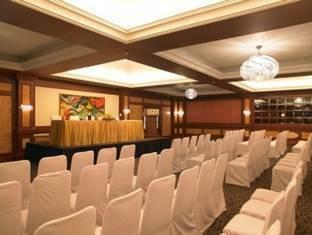 The area and the capacity ranging from the expansive ballroom to a board room for about 15 people. You can choose the seating arrangements, equipments and special catering arrangement as per you wish. LCD projectors, audiovisual materials and secretarial support can also be arranged if requested. There are two banquet halls with state of the art facilities and two board rooms with private working stations, complimentary wifi and secretarial services along with Internet cafe, Fax and phot copiers, Scanner. Dunes - The casino at this hotel, the newly opened casino in Goa, is a great place where the guests can play to their hearts content. The other recreational facilities are Gymnasium, 3 jacuzzi, sauna and the steam room, Badminton courts, Children's pool, cycling and children's park and play area. Water sports center is also available but it is a seasonal one. Para sailing, Banana boat rides, Jet skis, water surfing, wind surfing and excursions can also be arranged to sight see nearby tourist attractions.